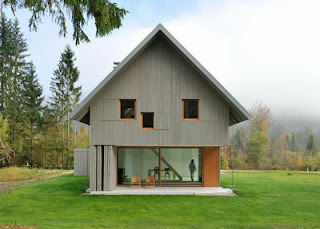 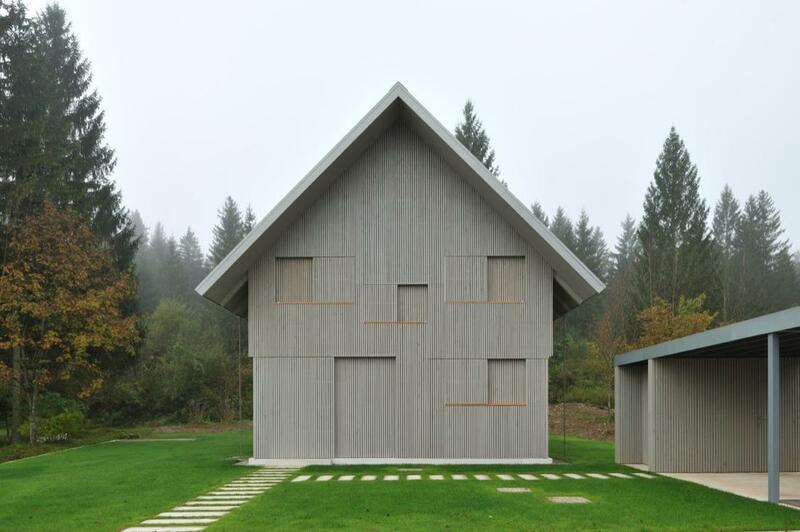 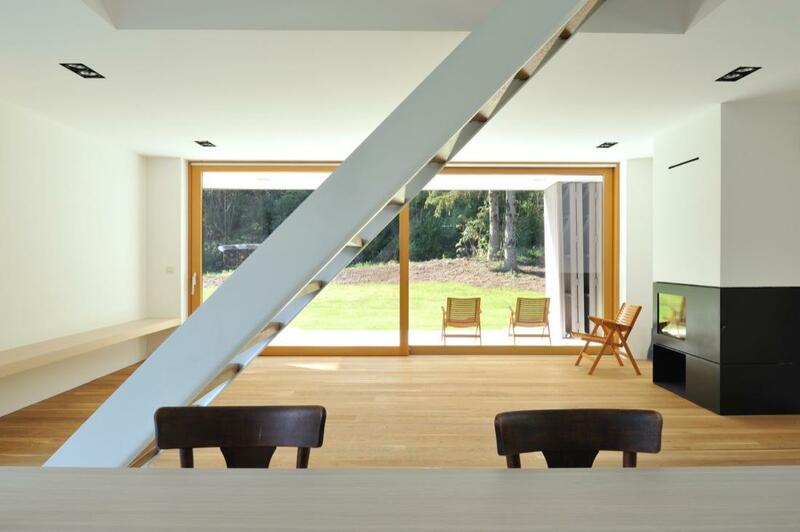 House R is a weekend house, located in the idyllic Alpine area near the picturesque Bohinj lake. 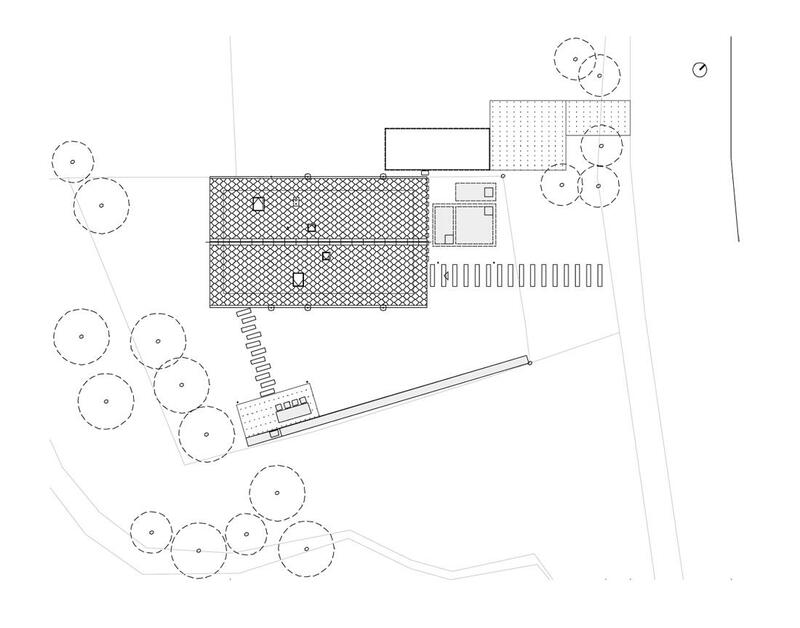 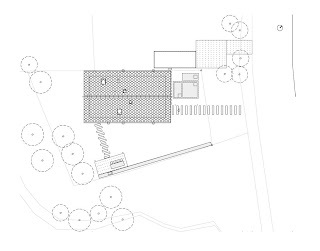 It stands in the protected conservation area, on the spot where an old house used to be, and – due to regulations-it strictly follows the contours of the preceding structure. This area around lake Bohinj is full of holiday homes dating back to the seventies, mostly designed as literal ‘copies’ of typical Slovenian Alpine architecture – steep pitched roofs and dark wooden cladding. 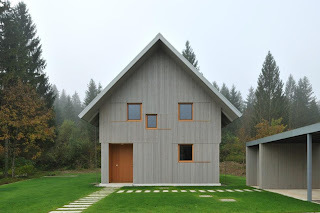 The only difference between these and traditional houses of the area is that they stay unihabited for most of the year, waiting for their owners’ temporary occupation. 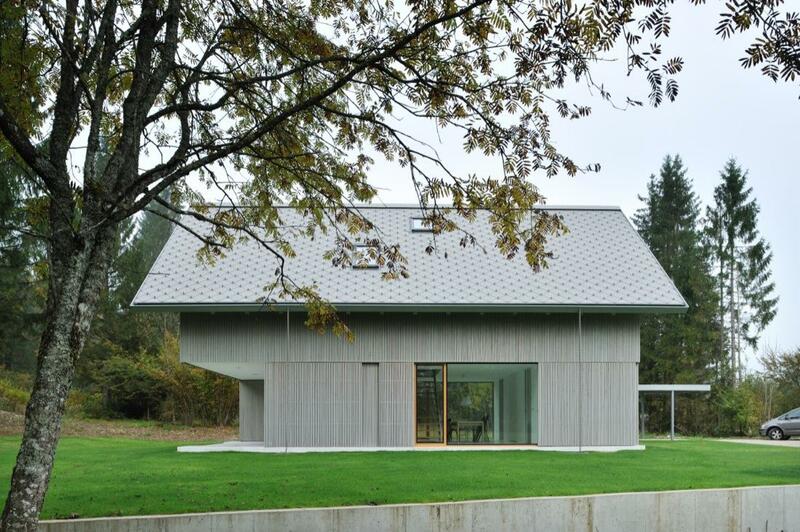 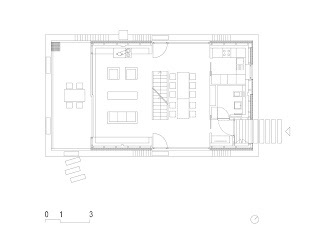 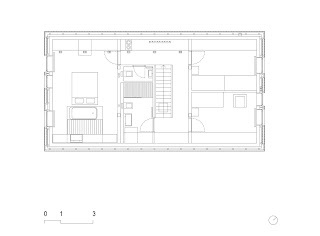 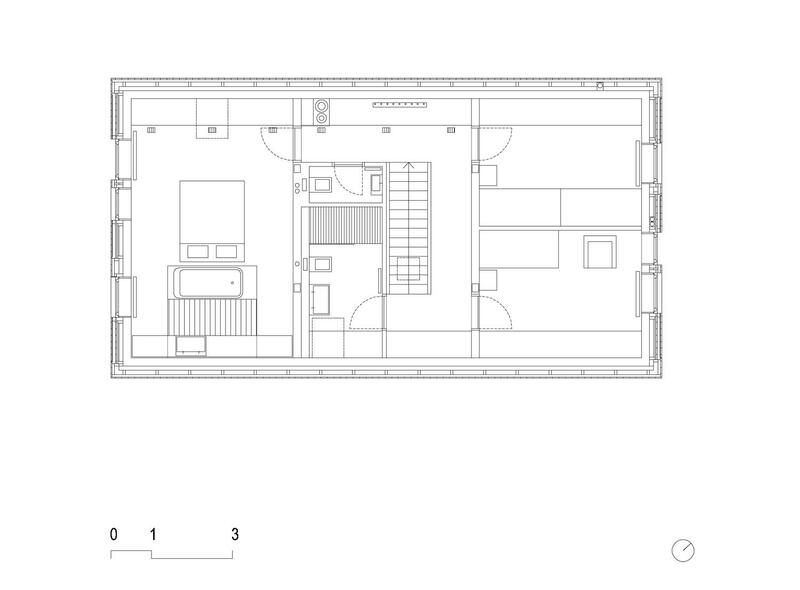 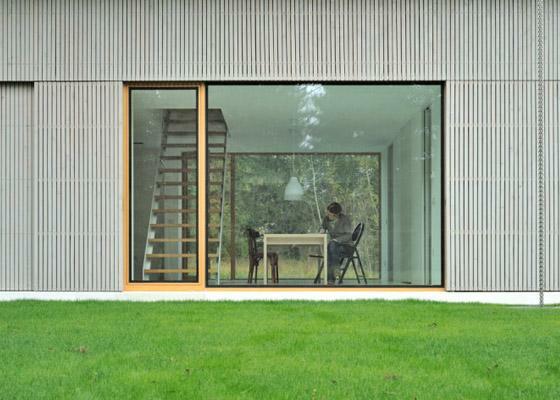 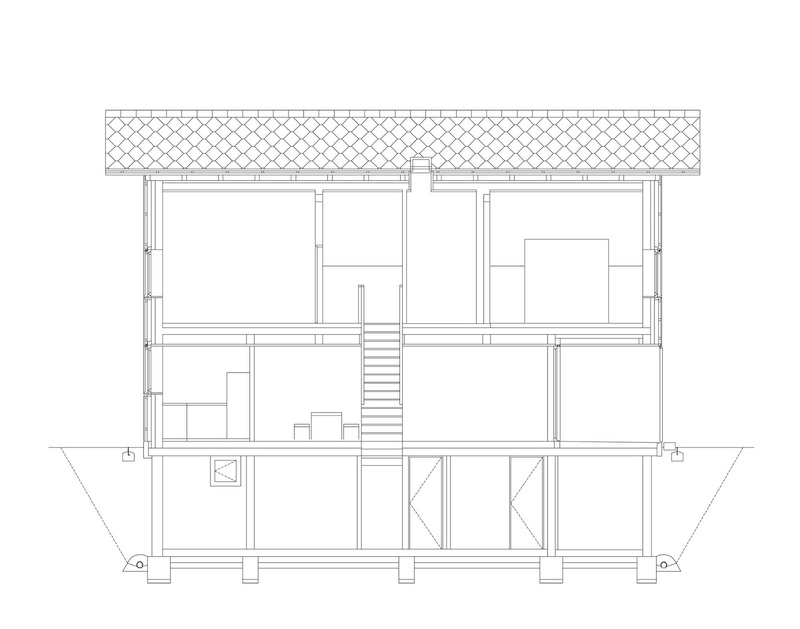 Therefore the project tries to deal with this notion of temporary occupancy by merging the tradional model of the house with that of a ‘container’ – the new alpine wooden house looks, when unoccupied, like a large wooden box – a hay storage or a barn, devoid of windows and doors. 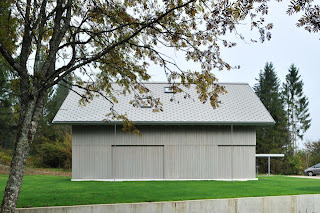 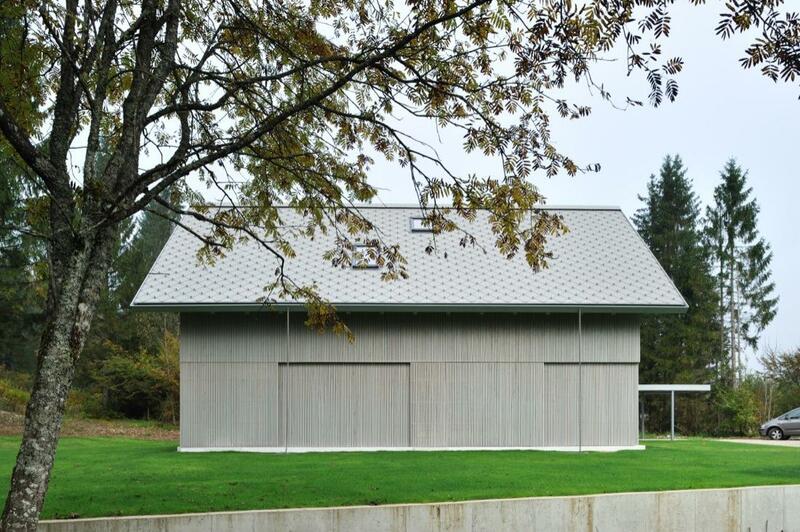 Its elevation comprises of series of larch-wood panels, all done in pre-patinated silver gray stain that slide to ‘reveal’ the house as it becomes occupied on weekends or during holiday season. 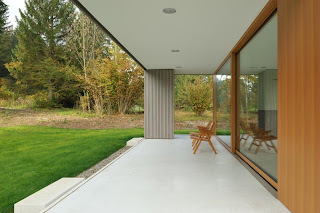 All windows and doors (including entrance), as well as the large open terrace on the ground floor, get ‘hidden’ or ‘revealed’ within the structure of the house, giving it lease of life or making it ‘mute’ as the use requires. At first sight a ‘prototypical’ house-shape gets animated, making the structure simultaneously traditional and contemporary. 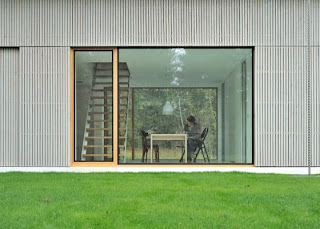 The construction of the house is in concrete which is then clad in the homogenous vertical-slatted wooden facade consisting out of large size fixed and sliding panels that cover all openings. The larch wood of the façade is pre-patinated (weathered) in silver gray stain, giving it an appearance of ‘standing there forever’, while the windows retain the natural warm colour of larchwood, serving as ‘frames’ for the landscape when looking out from the house. Under the slatted wooden ‘coating’ is a contemporary, ascetic interior with open-plan living / dining room area opening towards surrounding landscape via a large covered terrace in hand-polished terazzo. 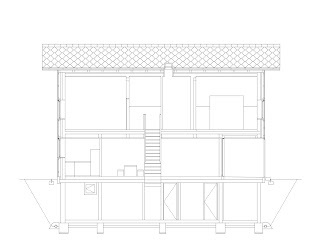 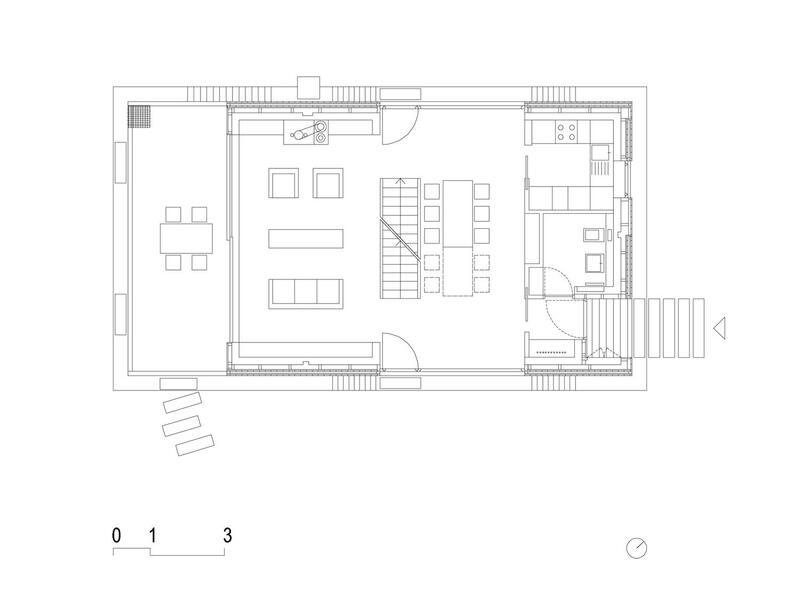 The steep stairs, leading to the cellar area with utility space and sauna, and to the first ¸¸floor attic containing bedrooms, traverse and separate living from dining area on the ground floor. 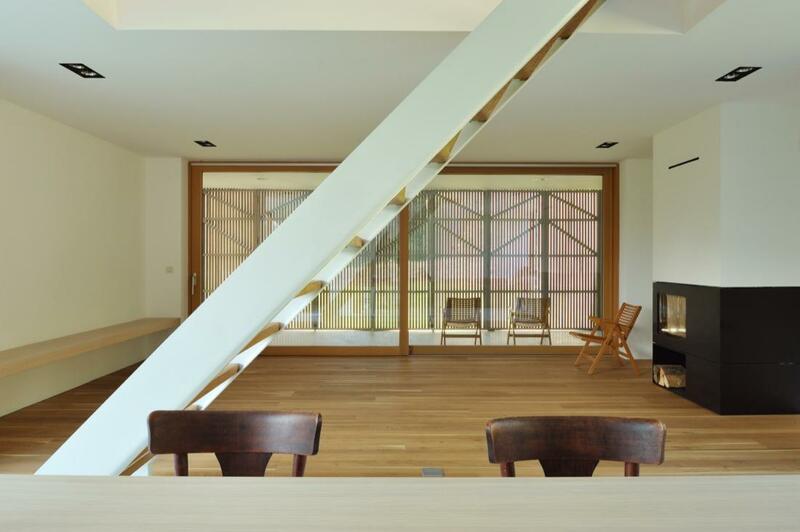 The windows in the bedroom areas, with their seemingly random placing are in fact ‘frames’, capturing different views – therefore the inhabitants can see their garden or the access path to the house, as well as the sky, directly from their beds. 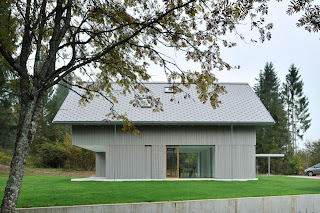 The house communicates with the surrounding nature in many, not immediately visible ways – it also, due to its temporary use as weekend retreat, has the ability to be completely closed-off from it when needed. In such a way, it succesfully merges the ideas of traditional buildings of the area with contemporary needs and habits.